WE OBSERVE A TWO HOUR DELAY IN ACCORDANCE WITH ANY WEATHER RELATED DISTRICT CLOSINGS. Our curriculum is accredited and Parent Aware approved! 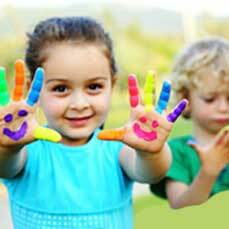 Choosing a child care provider is one of the most important decisions you will make for your child. The first few years of a child’s life are the most formative, and it is vital that you choose a provider that will meet and exceed your expectations. Our curriculum is ACCREDITED and PARENT AWARE APPROVED.